A meta-analysis published online by the Mayo Clinical Proceedings found that the omega-3 fatty acids EPA and DHA had favorable benefits for heart health. Researchers included 18 randomized controlled trials (RCTs) and 16 prospective cohort studies into their analysis. The results from the RCTs showed a 6% reduction (not statistically significant) in coronary heart disease (CHD) patients using EPA and DHA. The prospective studies showed a statistically significant 18% reduction in coronary heart disease among participants. 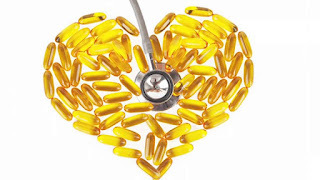 Subgroup analysis from the RCTs showed that individuals at higher risk for CHD, such as those with elevated triglycerides and elevated LDL cholesterol, benefitted most from the omega-3 fatty acids, especially at dosages above 1 gram per day. The conclusions of the meta-analysis support the American College of Cardiology and American Heart Association Task Force’s recommended addition of EPA and DHA omega-3 fatty acids to dietary patterns to support heart health and prevent coronary heart disease. Note from Deanna: I recommend Usana's BiOmega fish oil supplement with EPA and DHA to support healthy cellular function throughout the body. There is also a version for young people called BiOmega Jr. to support healthy growth and development.